As a method of execution, throwing someone through a window is a bizarre concept. 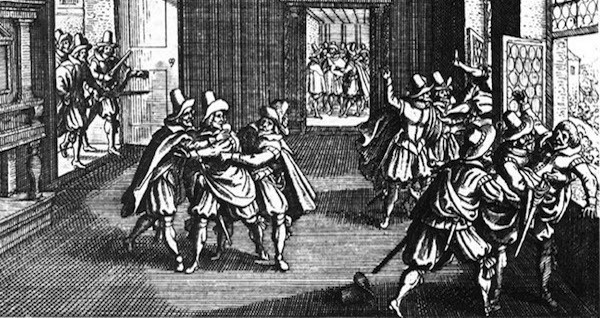 It’s amazing there’s even a word for it, and yet there is: defenestration. We’ve witnessed it in countless movies — the thrilling opening fight scene in Watchmen, Edward Longshanks hurling his son’s lover through an open window in Braveheart, even the triumphant moment in Robin Hood: Prince of Thieves when Friar Tuck pushes the money-laden bishop through the stained glass window of his chapel.